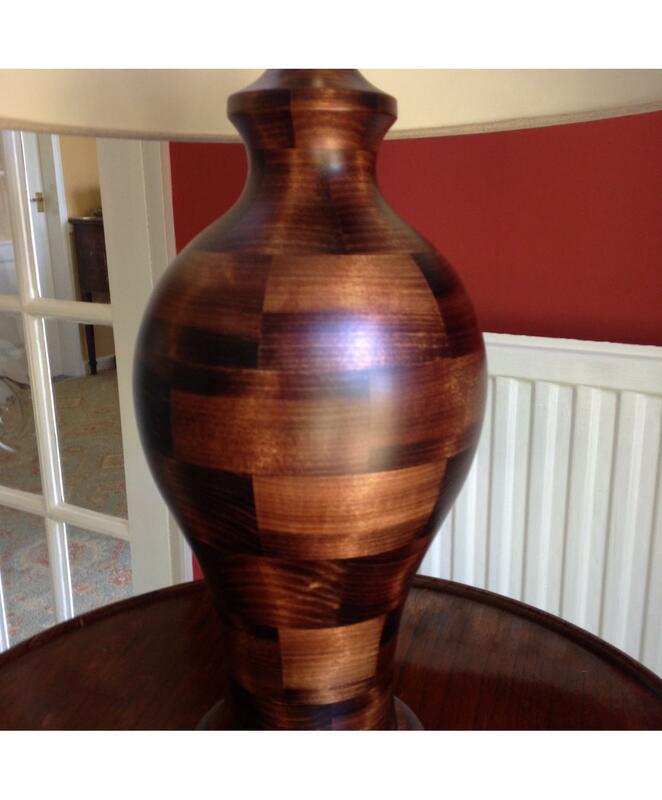 This stunning Lamp Stand is hand turned in England, walnut stained Tulip Wood gives an amazing colour and texture. 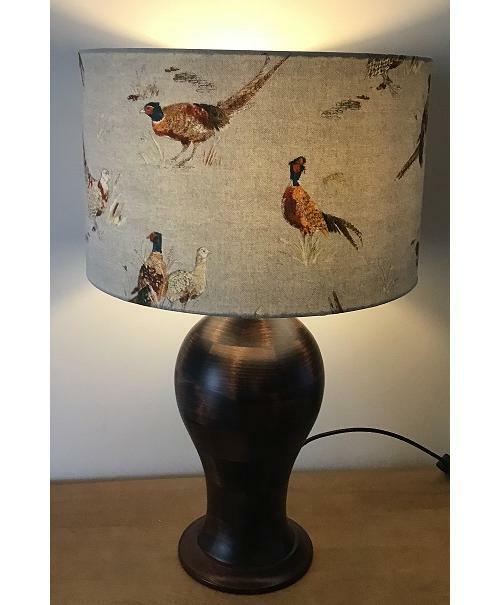 The Lamp with the Shade is 65cm tall the Shade is 40 cm in diameter. Please note these are all approximate measurements as they are all hand made and will vary slightly, also the fabric pattern will differ a little. The Electrics are all PAT tested. The Shades have a heat protect lining. PLEASE NOTE, SORRY THIS ITEM IS NOT YET AVAILABLE TO RETAIL AND WHOLESALE STORES.